On Wednesday, May 9th, 2001 at the National Press Club in Washington, DC, more than twenty military, intelligence, government, corporate and scientific witnesses came forward to disclose the acknowledgment that UFOs and extraterrestrial life forms are the result of advanced energy and propulsion technologies. 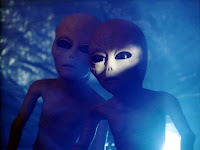 This first-hand testimony along with government documentation and other evidence, will establish without any doubt the reality of these beings from another world, according to the director of the Disclosure Project Dr. Steven M. Greer, who hosted the event. 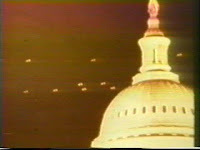 The Picture above is a real picture taken of documented UFOs over the Capitol building in Washington DC 1952. These object are on record as "UNIDENTIFIED FLYING OBJECTS". And here is the news footage. OK, this is proof that aliens are here and here to stay. These are people who worked for the government who have nothing to gain and everything to loose and are willing to go before congress under oath admitting what they know about the existence of UFO's, aliens and alien technology. Nobody in their right mind would go in front of the National Press Club making up crazy stories about aliens. That makes no sense at all. I'm with millions of other people who are so frustrated with the secretive nature of our government especially on the topic of UFO's and aliens that it's time for all of us to do something. How long do they think they can go before admitting the truth. Obama has promised to have the most transparent administration in history and the time is now to get this administration to reveal the truth about what they know regarding this subject. One thing you can do is write Obama at the White House. Just cut and paste the letter I have written on to the message board here, and that's it! Everybody needs to write him and I've already done the hard part for you. 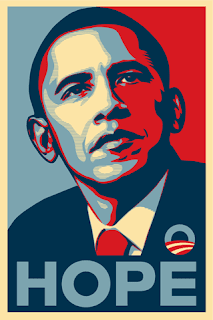 If you want to know the truth, take the five minutes and send an e-mail to President Obama. I first would like to amend you on all the great work you are doing for our country, I can truly say I'm proud to be an American again. Thank you. The reason I'm writing you today is regarding the disclosure project lead by Dr. Steven Greer who is the Founder and Director of the Disclosure Project. 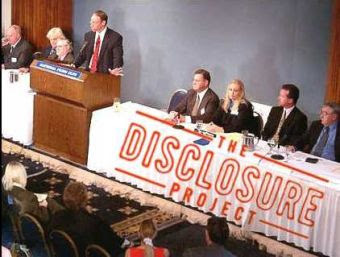 On May 9, 2001, as Director of The Disclosure Project, Dr. Greer presided over The Disclosure Project Press Conference from the National Press Club in Washington, DC. Over 20 military, government, intelligence, and corporate witnesses presented compelling testimony regarding the existence of extraterrestrial life forms visiting the planet, and the reverse engineering of the energy and propulsion systems of these craft. Over 1 billion people heard of the press conference through webcast and subsequent media coverage on BBC, CNN, CNN Worldwide, Voice of America, Pravda, Chinese media, and media outlets throughout Latin America. The webcast had 250,000 people waiting online — the largest webcast in the history of the National Press Club. All of the witnesses involved stated they would swear under oath before congress that everything they said was true. Lets put them in front of congress under oath and have their statements documented as official government records. As you know Mr. President, no government employee has anything to gain from making up stories about UFOs and aliens from another world. We the people do not condone secrecy and neither should the president of the United States of America. This is not only very real, but the most concerning subject of our time. We deserve to know the truth. It is wrong to withhold the information that can determine a persons belief about life it's self. The time is now, the people are ready and as a citizen of the United States of America I employ you and your administration to release the official government information regarding UFO's and Extraterrestrial life forms. Only you as president have the power to change all history as we know it. Allowing people to become aware of the knowledge regrading this subject would be the most monumental gesture of truth in all of governed history. Now of-course you can change this letter anyway you like. The most important thing is that you do it. If enough people send out letters and e-mails it's only going to put us that much closer to finding out the truth. Or maybe not, but at least it let's them know how many of us are truly concerned about this hidden truth. Attain the knowledge that can set you free from these government secrets, they may never tell us anything and that's why it's so important for you and your loved one's to attain your attainable minds. Here is another video with Michael Salla, Phd giving a lecture at the X-Conference April 2009. Again talking about the Obama administration disclosing the government information concerning UFOs and extraterrestrial life forms. Michael Salla, PhD - X-Conference 2009 - Washington (HD) from Exopolitics Denmark on Vimeo.